You're probably here because you're, and I'm guessing here, a Pixar fan; and if you're a Pixar fan you most likely know of the famous Pixar Pizza Planet truck "Easter egg". If you're not aware of what I'm referring to though, I'll give you a quick overview. It all started with the original Toy Story, where the now famous and iconic Pizza Planet delivery truck made its first appearance and played a significant role in the film. Ever since then, the truck has made very brief background cameo appearances (usually pretty hidden, why it's known as an "Easter egg") in almost every Pixar film to date- all except The Incredibles for whatever reason. It's now almost like a game, where Disney/Pixar fans try to search for the truck's appearance in every new release from the studio. 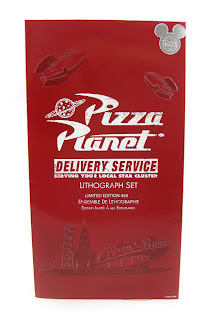 To see where it shows up in each film, check out the Pizza Planet Truck Pixar Wiki Page. Ultimately, the truck has become a pretty instantly recognizable Pixar icon (much like the Luxo ball) that people associate with the studio. This year at the 2015 D23 Expo, Disney·Pixar released this very cool Pizza Planet truck lithograph set celebrating some of its now famous hidden appearances. There are five 12.25" x 5.75" quality cardstock prints included - Wall·E, Cars, Toy Story, Monsters University and A Bug's Life are represented here with vibrant screenshots. Only 450 pieces of this were made and it was available only as a D23 2015 exclusive; so that makes this a pretty limited and rare item. It retailed for $39.95. 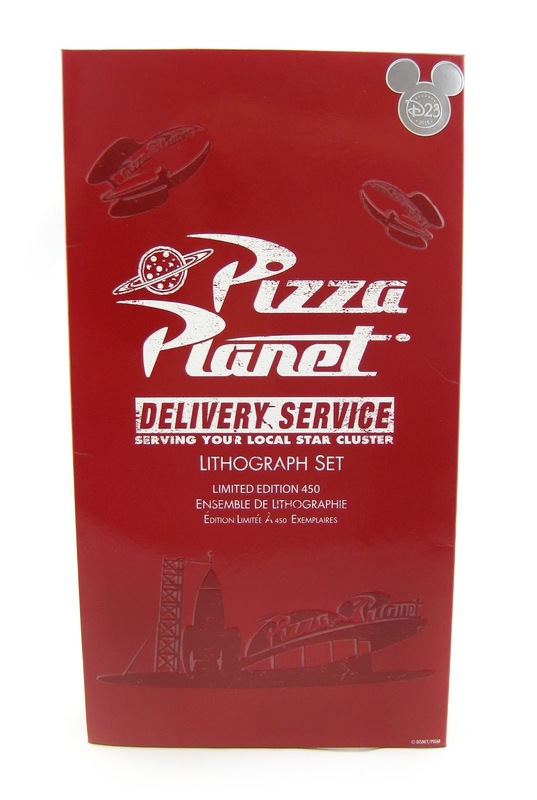 I love the "Pizza Planet Delivery Service" folder that this comes in (that's what really sold me right off the bat). It almost looks like (to me) what a menu would look like there at the fictitious pizza restaurant. Really cool stuff! 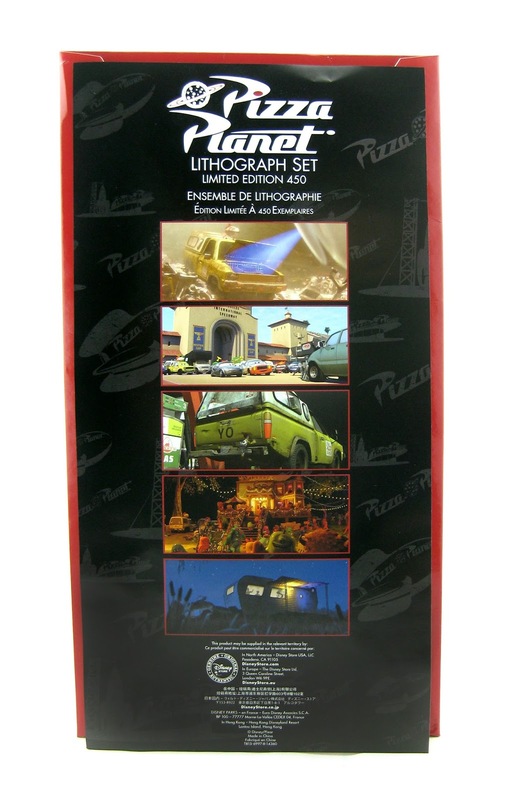 If you're looking for this to add to your Pizar collection (fun for celebrating the 20th anniversary of Toy Story), you can find it on eBay HERE using this direct link to current listings. Highly recommended!